You’re reading novel The Demonic King Chases His Wife: The Rebellious Good-for-Nothing Miss Chapter 978 online at LightNovelFree.com. Please use the follow button to get notification about the latest chapter next time when you visit LightNovelFree.com. Use F11 button to read novel in full-screen(PC only). Drop by anytime you want to read free – fast – latest novel. It’s great if you could leave a comment, share your opinion about the new chapters, new novel with others on the internet. We’ll do our best to bring you the finest, latest novel everyday. Enjoy! Just at this moment, a shadow suddenly appeared from behind Su Luo. This shadow slowly approached Su Luo. Su Luo, who was immersed in sadness, although her sharp senses were reduced a lot, her body's basic instinct towards danger still made her turn her head subconsciously. This glance made her expression stiffen in an instant, her back gradually growing cold. The person in front of her was enveloped completely in a black cloak, with a slim body that made the cloak seem very wide. It fluttered and floated with the elements. The entire face of the person in front of her was covered by a black hat, but from the atmosphere alone, Su Luo knew right away who it was. Su Luo took a deep breath and subconsciously took a step back. That mysterious person dressed in a black cloak extended a slim white hand and gripped the edge of the hat. With a pull, that black hat was ripped off, exposing a face that was radiating light in all directions. Su Luo's eyes immediately shrunk. Fairy Yan Xia looked at Su Luo, her eyes dipped in malicious light. The scorching hot gaze almost burned Su Luo. Su Luo subconsciously took another step back. Because she clearly saw the hatred and rage in old witch Yan Xia's eyes. Before, in order for her to escape, she had used the small stone to blow up the old witch's chest area, badly mutilating it. Now, the old witch had found her, how could there be good things waiting for her? A sinister and cold smile hung at the corner of the old witch Yan Xia's mouth. She walked slowly towards Su Luo, step by step. Su Luo subconsciously retreated, step by step. All around, a gale erupted. Huge jade beads, like rain, tumbled down and hit her face, stinging her somewhat. The corner of old witch Yan Xia's mouth gloomily pulled up: "Loathsome girl, today in the next year is the anniversary of your death, accept death!" Su Luo's heart was deeply worried, but her expression was as calm as before. "Old witch, why didn't the little stone's explosion just kill you last time?" Su Luo breathed in through her nose and, with a ghost of a smile, cast a sidelong glance at the other side. This was the biggest grievance in the old witch Yan Xia's heart. Hearing this sentence, she bared her fangs and brandished her claws, she wanting to rush over to tear Su Luo into pieces. Su Luo waved her hand: "Wait!" "For the sake of giving face to your master, say it, what last words do you still have to pa.s.s on?" The muscle at the corner of the old witch Yan Xia's mouth trembled slightly. It could clearly be seen how furious she really was. Su Luo faintly smiled: "My master? Old witch, I have already sent out a letter to him." "What letter?" Old witch Yan Xia had a very bad premonition. "My last words ah." Su Luo said it in an as-if-by-right manner, "If I die, the murderer is you——Old witch!" Fairy Yan Xia was so angry to the point that she nearly gave off smoke! She never expected that this loathsome girl would be so cunning, to actually leave behind a letter beforehand. However, Fairy Yan Xia also wasn't stupid, she wouldn't just be scared by this and dare not make a move. She coldly smiled: "So what? Your master originally didn't like me. Since I can't make him love me, then let him just hate me." Su Luo's expression stiffened slightly. This old witch's brain circuit was different from a normal person's, really wasn't easy to persuade her. What must she do today, so she could escape unscathed? Now, she was deliberately stalling for time, but would Nangong Liuyun really return to look for her? Fairy Yan Xia walked towards Su Luo step by step, a sinister smirk hanging at the corner of her mouth. Su Luo, step by step, moved back. In the end, she was backed into a corner, her back pressing against the tree trunk of a millennium-old ancient tree. Fairy Yan Xia suddenly laughed coldly: "What, deliberately stalling for time, waiting for your young lover to come to save you?" The fists at Su Luo's side tightened slightly. The old witch really was worthy of being the old witch. So, originally, she had known everything! 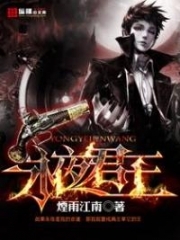 You're reading novel The Demonic King Chases His Wife: The Rebellious Good-for-Nothing Miss Chapter 978 online at LightNovelFree.com. You can use the follow function to bookmark your favorite novel ( Only for registered users ). If you find any errors ( broken links, can't load photos, etc.. ), Please let us know so we can fix it as soon as possible. And when you start a conversation or debate about a certain topic with other people, please do not offend them just because you don't like their opinions. You're reading The Demonic King Chases His Wife: The Rebellious Good-for-Nothing Miss Chapter 978. This novel has been translated by Updating. Author: Su Xiao Nuan,苏小暖 already has 11762 views. Current Time is Apr-22-2019 16:35:13 PM.